2015 was a year of promising research, groundbreaking education initiatives, important legislation and, unfortunately, heartbreaking loss with the deaths of several young people in our community. 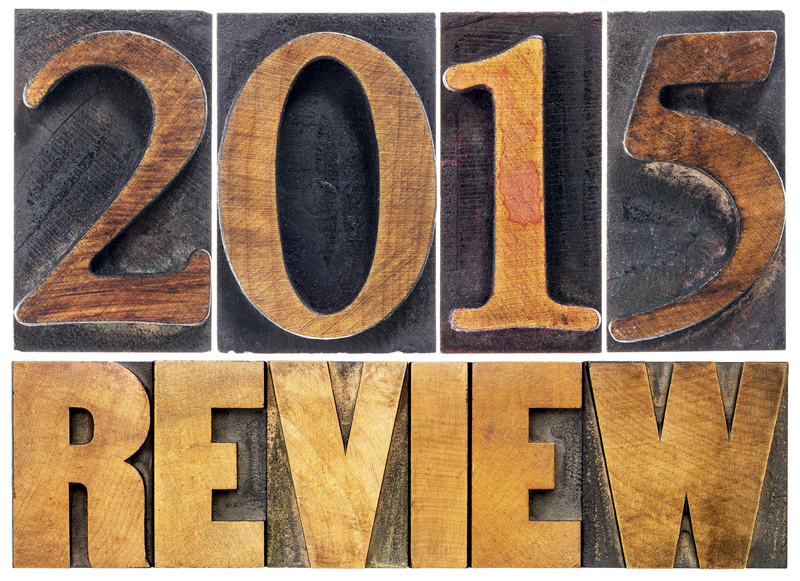 As we look back, we see a year of change both nationally and within Food Allergy Canada. Here are some highlights — and a glimpse into 2016. 10-year anniversary of Sabrina’s Law. May 2015 was the 10-year anniversary of the passage of Sabrina’s Law, which has become a model for anaphylaxis and schools legislation internationally. A Queen’s Park reception and Parliamentary statement was attended by Food Allergy Canada, joining Sabrina’s devoted parents Sara and Mike Shannon and Speaker of the Parliament Dave Levac, who were instrumental in the 2005 passage of the law. In honour of the anniversary, Food Allergy Canada sponsored two student scholarships at Toronto’s Young People’s Theatre, which was one of Sabrina’s favourites. Read more about Sabrina’s life and legacy. University Outreach and Education. There are more than 2 million students enrolled in Canadian universities and colleges, and with approximately 150,000 affected by food allergy. In 2015, Food Allergy Canada Executive Director Laurie Harada, Beatrice Povolo, Director, Marketing and Communications, and Marilyn Allen, our foodservice consultant, visited universities and colleges across Canada to discuss the development of guidelines – the first in Canada – for managing food allergies in post-secondary institutions. After the tragic death of Queen’s University student Andrea Mariano in September, many students and parents as well as universities and colleges reached out to Food Allergy Canada. We are responding with this resource as well as other initiatives in a broad-reaching campaign with our nation’s institutions of higher education. The guidelines are aimed at helping post-secondary institutions develop and implement policies to support students with food allergies. Support this initiative. Re-Branding and New Website. As you may have noticed, we’re not Anaphylaxis Canada anymore! After much discussion with the community, we changed our name and redesigned our website to include better navigation, more information and a blog that connects with our social media community. Our French-language version of the website will be launching in the coming months as well. We hope you like it! Our Community Conference. In May, Food Allergy Canada’s Eighth Annual Community Conference focusing on food allergy research was attended by 287 delegates, including parents, educators, allergists and representatives from Health Canada. As usual, our Youth Advisory Panel led a series of amazing sessions for teens and young adults. Our next conference will be May 28, 2016 in Halifax – watch the blog for more info on registration soon. A special thanks to conference supporters including AllerGen, Health Canada, Pfizer, Peanut Bureau of Canada, Sanofi and Scotiabank! Passage of Ryan’s Law. Also in May, Ryan’s Law received Royal Assent in the Ontario Parliament. Modeled on Sabrina’s Law, Ryan’s Law ensures the legal right of all students to carry their life-saving asthma medications at school. Food Allergy Canada was proud to support the efforts to pass Ryan’s Law, which is now in force. The law was sponsored by MPP Jeff Yurek and received unanimous support in the Ontario Parliament. Media presence. In 2015, Food Allergy Canada continued to be a go-to resource for major media outlets in Canada responding to media requests and connecting journalists with medical experts who provide clarity as well as families who give a face to food allergy. Summer of TAG. Race car driver Alex Tagliani helped to raise awareness about food allergies across Canada in Summer of TAG, together with Food Allergy Canada and EpiPen® Canada. Alex and his wife Bronte also hosted a golf tournament that raised $22,000 for Food Allergy Canada. And, through the Desjardins Ajusto Challenge, Alex raised thousands more. A very special thanks goes to the Taglianis for their generous contributions and for raising awareness about food allergies. We are looking forward to another great summer in 2016! Youth. Our ever-popular Allergy Pals/Allergy Allies program was filled to capacity, with 150 children mentored online by an impressive team of peer support leaders. In late 2015, our latest e-book “The Ultimate Guidebook for Teens with Food Allergies” was released, a popular download by teens and parents alike. The annual Sabrina Shannon Memorial award was given to Katherine Lorette and Shayna Rak, two youth advocates who are making a difference in our community. Our youth outreach has been supported by TD Securities since 2007. Thank you, TD! The Newly Diagnosed Support Centre. More than 10,000 families accessed our portal at allergysupportcentre.ca for parents of children who are newly diagnosed with food allergies. This accessible, medically-reviewed resource has also been beneficial to others such as teachers, extended family and many more. The handbook for parents helps families keep their children safe and be “careful, not fearful” about managing food allergies. This priceless resource for families exists thanks to supporters including Scotiabank, the Sean Delaney Golf Memorial Classic, and proceeds from the Robyn Allen Memorial Cup. Training and education. In 2015, we trained over 150 child care professionals across Canada who used our materials to train thousands of staff in anaphylaxis management. This project was possible thanks to the support of Pfizer, Sanofi and the Peanut Bureau of Canada. We also continued work with the project team involved in the City of Hamilton stock epinephrine pilot project and provided allergen management training for foodservice providers across Canada. Food Allergy Canada was active in the Teal Pumpkin Project™ and other grassroots initiatives throughout the year. Check out our blog archive or join us on social media for more info. Mobile-friendly e-learning course for schools. Thousands of school staff have accessed our Allergyaware.ca e-learning course, which is the only free, bilingual anaphylaxis-education course of its kind in Canada. The mobile platform was launched in August 2015. Watch for mobile versions of the child care and community e-learning courses later in 2016! We are grateful to the following supporters for launching this essential education project: Premier Founding Sponsor TELUS; Bruce Croxon/Debra Thier and family; The Bridle Bash Foundation; the Sean Delaney Golf Memorial Classic; the governments of Alberta, British Columbia, Newfoundland and Labrador, Ontario, Saskatchewan and the Yukon — as well as countless individuals who gave generously to this project. Product recalls and Health Canada notifications. Food Allergy Canada was instrumental in getting the word out quickly about the Allerject® recall in 2015. We worked closely with Sanofi staff, the Canadian Society of Allergy and Clinical Immunology, and Pfizer to ensure that our community was kept abreast of the voluntary recall as well as EpiPen® availability. Through our Allergy Information Service, we provided notifications from Health Canada about 128 product recalls and advisories throughout the year. Looking ahead. 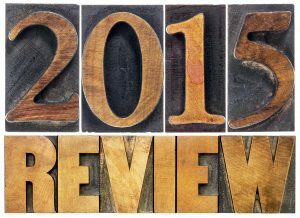 As we head into 2016, we are feeling energized about our many initiatives. If you would like to support our university initiative or other projects, please contact us. To keep up to date, join us on Facebook or Twitter @ FoodallergyCAN. We love our online community and look forward to hearing your stories and ideas. A special thanks goes out to the Delany Family and friends for their support throughout the year, on these and many other important projects. Happy New Year from the Food Allergy Canada Team!